Twenty-four fillies take part in this Class 1 race for two-year-olds over 5f on good to firm ground, good in places. By all accounts this looks a great renewal with a number of proven form horses and sparkling winners vying for this prize money of over £56,000. Pattern races are more for the purist than betting propositions but one filly which could be something special is Rizeena, trained by Clive Brittain. This daughter of Iffraaj has progressed with each race after showing promise on debut at Newmarket, when finishing in eye-catching fashion. 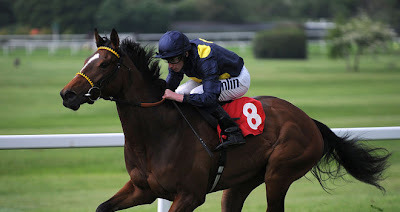 She won in a professional manner when taking her maiden at Ascot, beating another of today's rivals, Oriel. Next stop saw a stylish all-the-way win at Sandown when bagging the National Stakes Listed, over the minimum trip. This step up to Group class will be a stern test, as it will for all who compete. However, Clive Brittain - who I fondly call Mr Optimism - has spoken of this bay filly in glowing terms. In fact, he has detailed this youngster in the same sentence as his wonder filly Pebbles who proved herself to be an international thoroughbred. Rizeena is just at the beginning of her career but Brittain has that sparkle in his eyes. I will be cheering her home.